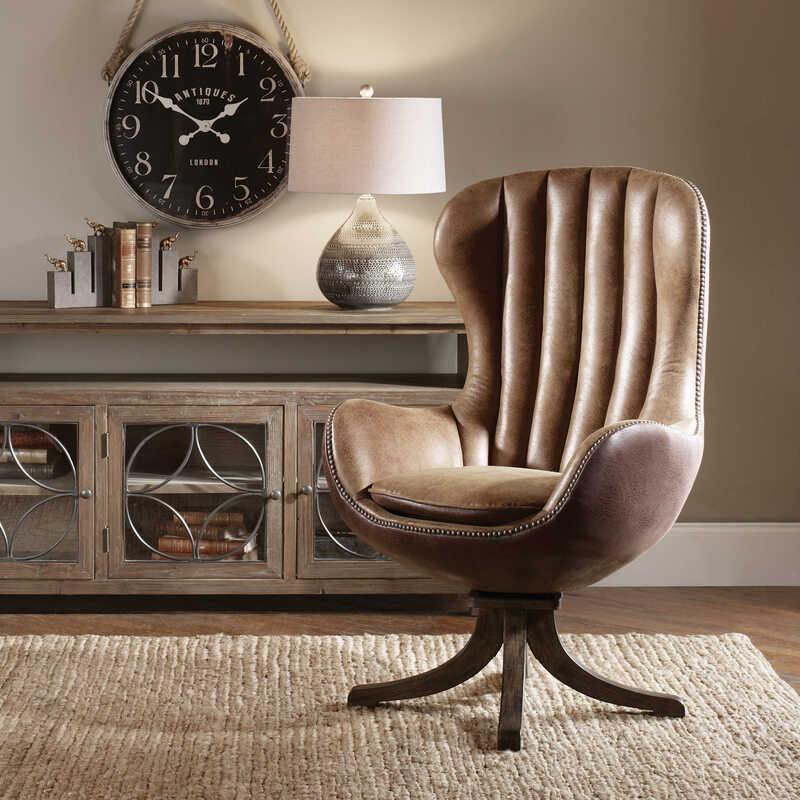 With a nod to the mid-century design classic, this toffee brown faux sueded chair gives new attention to transitional details through its deep-grained chestnut brown, splayed hardwood swivel base, channel tufted back adding superior comfort and individually hammered, antique brass accent nails. 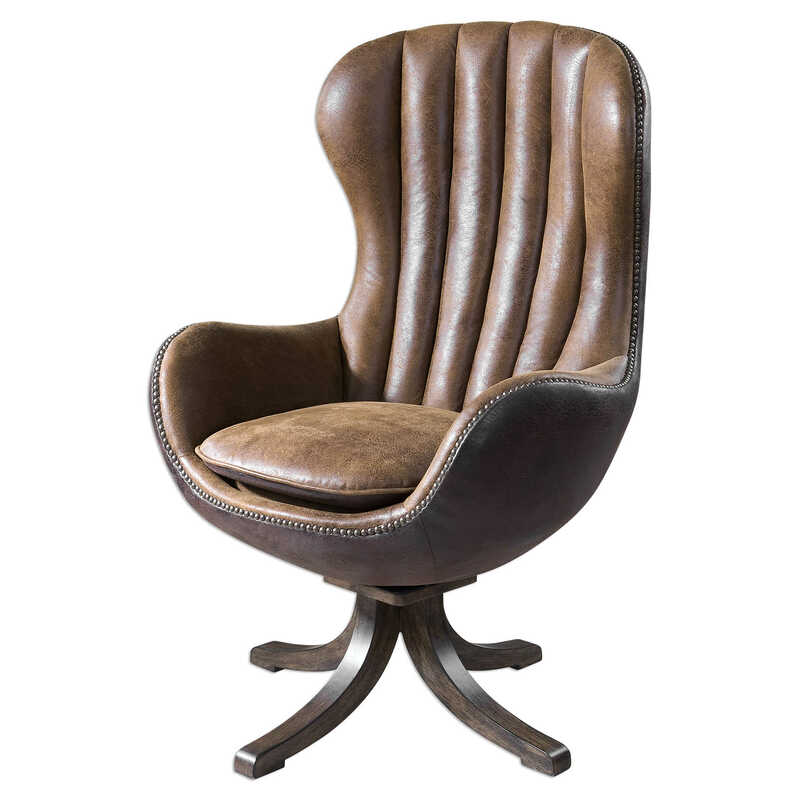 Reversible seat cushion and surrounding back feature darker brown faux leather. Seat height is 20".